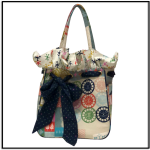 Get ready for traffic stopping and compliments for this tote that rivals high-end totes! 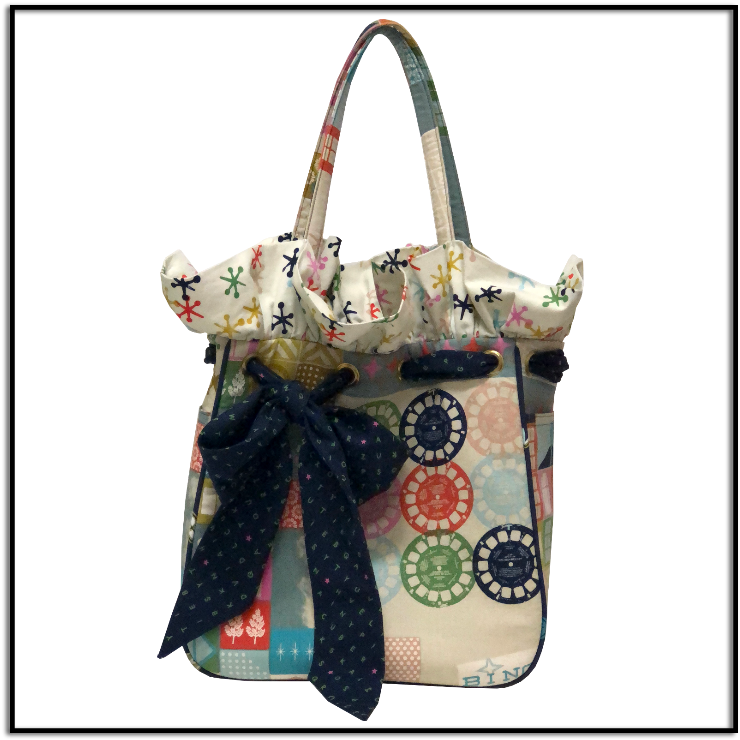 This sturdy, well-constructed bag is set off with a flirty bow and ruffle of contrasting fabric. 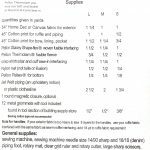 Instructions for light upholstery weight or quilting cotton, in three sizes, are included. 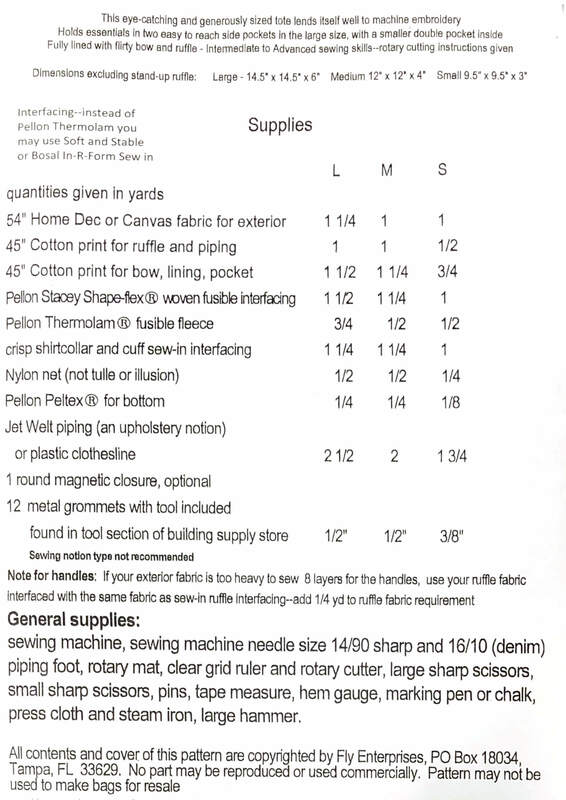 Included with the pattern is 2-1/2 yards of Jet Welt, a hard-to-find product used to give the tote structure. 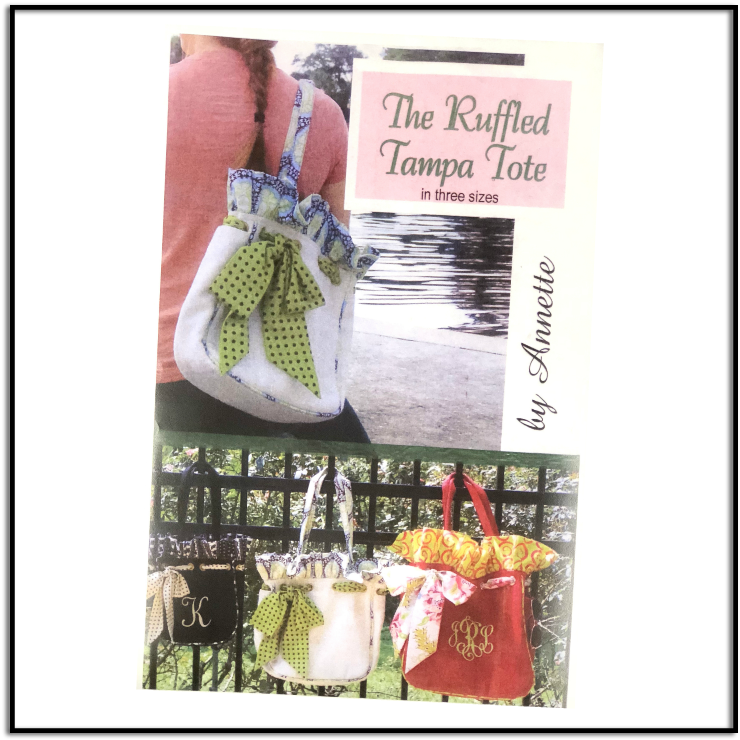 You have the option to purchase the Ruffled Tampa Tote Pattern alone or to add 3-yards of hard-to-location Jet Welt Piping. Get ready for traffic stopping and compliments for this tote that rivals high-end totes!